I had placed an order on revoguewatch.com but did not receive these product due to some technical problems from the delivery agency. Now the product is being sent back to the seller, and I would like to get a refund for it. But I'm unable to contact the seller. The number provided is switched off. I have tried sending emails, but got no response. 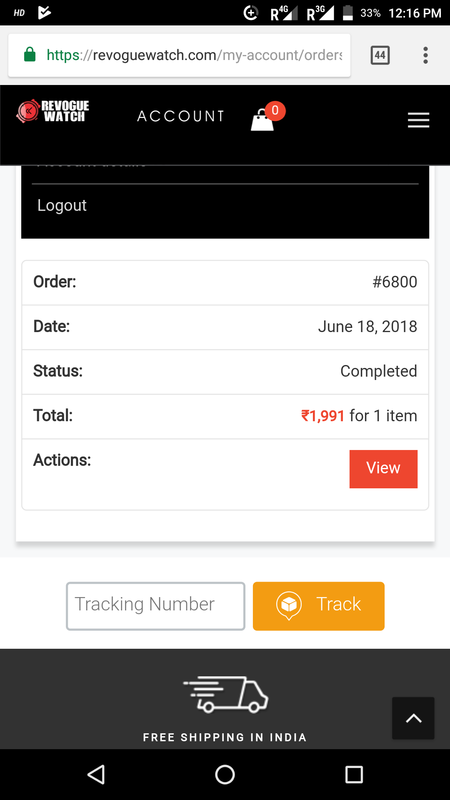 The status of the order shows completed but I have not received the product. This site is a dead website it seems. I want my money back.